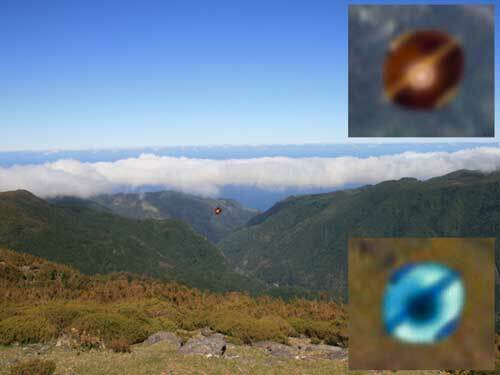 My friend Thierry Chauvet has analyzed the ufo photos taken near Puy de Sancy in France…. That’s it, I worked on the pictures 4 and 5 ( 1:30 work ), I am amazed by the beauty of these photos. I have a lot of trouble to give a distance , personal 50 meters, but Mr. Pagès who was there talking about 150 to 200 meters , so I’ll stay on 150 to 200 meters as the person who can give the most information is photographer. Please visit his website:The blog of Christian Macé for many articles and photos. Google has a translation tool that automatically translates Christian’s website in to English.